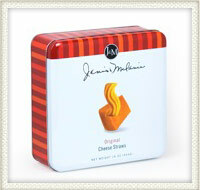 Say “Cheese”… as in cheese straws! Crispy, crunchy, savory Southern treats. Handed down from generation to generation and now handed over to you, this old world recipe has graced family gatherings for over 100 years. Still baked to perfection in a family run kitchen, J&M's cheese straws are a delicious snack or a great companion with soups, salads, fruit or wine. 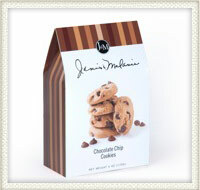 Take a taste and see why the people at J&M are proud to share these special treats with the rest of us. Made with only the finest ingredients. No hydrogenated oils and no preservatives. Check out their scrumptious cookies, too! Shipping via UPS or FedEx ground.